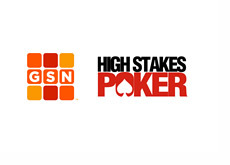 "Poker After Dark" will follow up their highly successful "Top Guns" two week cash game with the "Magnificent Six" week. These six players have combined for over $50 million dollars in total lifetime tournament earnings and nearly 40 World Series of Poker bracelets. The combined total net worth of the six players at this table is off the charts. 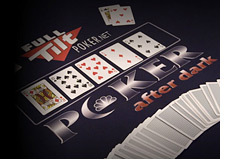 Phil Ivey, Howard Lederer and Phil Hellmuth have all won twice on "Poker After Dark", while the remaining three players have won once. Phil Ivey has the highest winning percentage of any player at the table, having won 2 out of the 5 times that he has appeared on the show (when it has been in tournament format). Phil Hellmuth has made the most appearances (16) of any other player on "Poker After Dark" (including cash games). The first episode of the "Magnificent Six" week will air later tonight on NBC (2:05 am). I like Howard Lederer, but does anybody else find it funny that he has appeared consecutively on "Poker After Dark" weeks titled "Top Guns" and "Magnificent Six"?